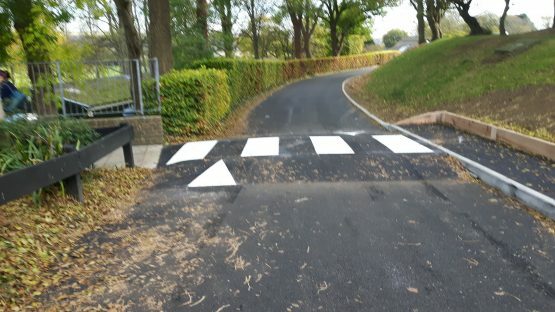 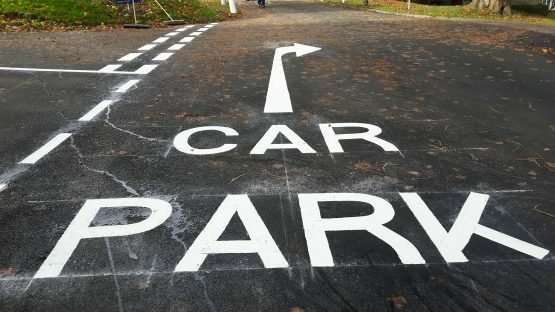 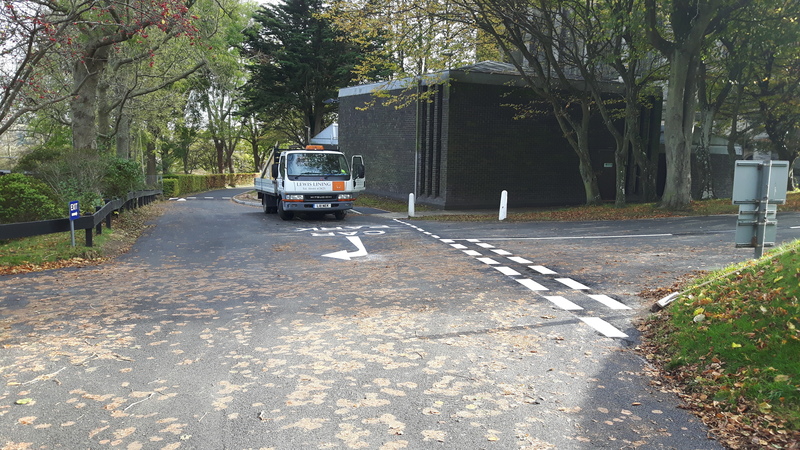 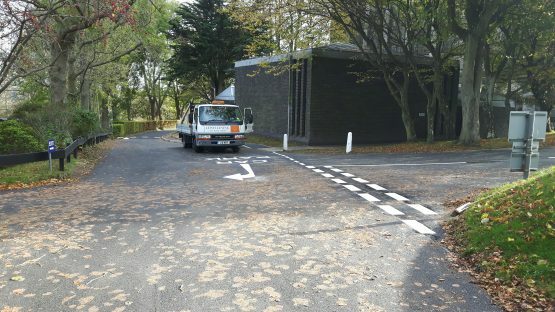 White Thermoplastic Material applied to a tarmac surface to create highly visible road markings. 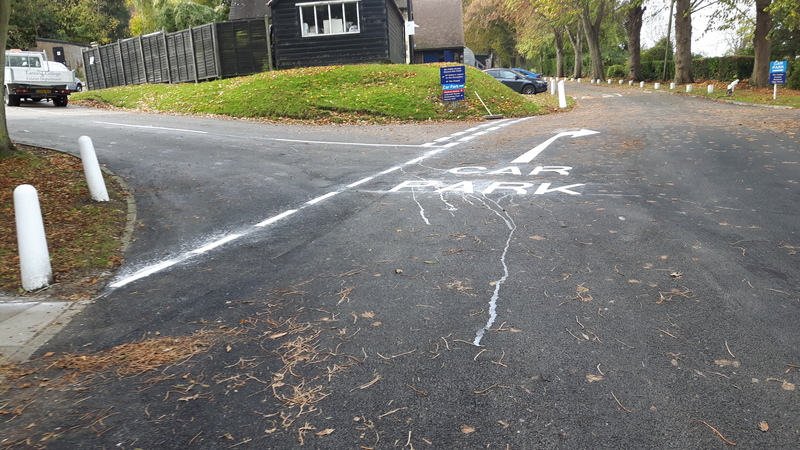 We managed to get the markings completed before the rain started!! 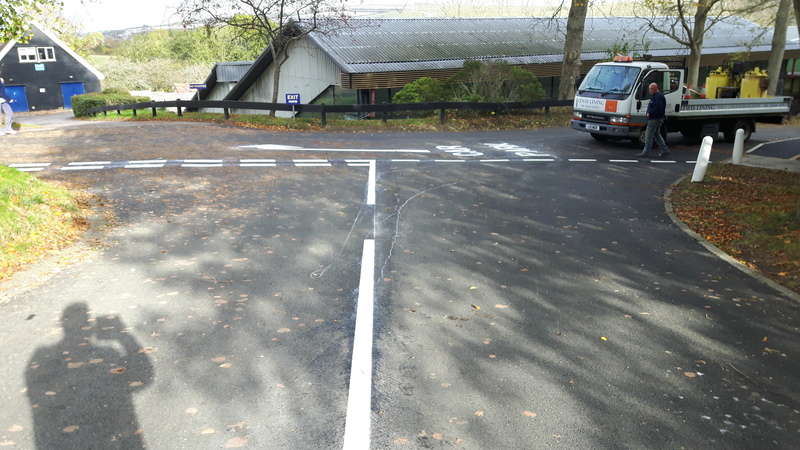 My clients would like to pass on their thanks for a job well done.